All of my previous posts as well as new content is located there. 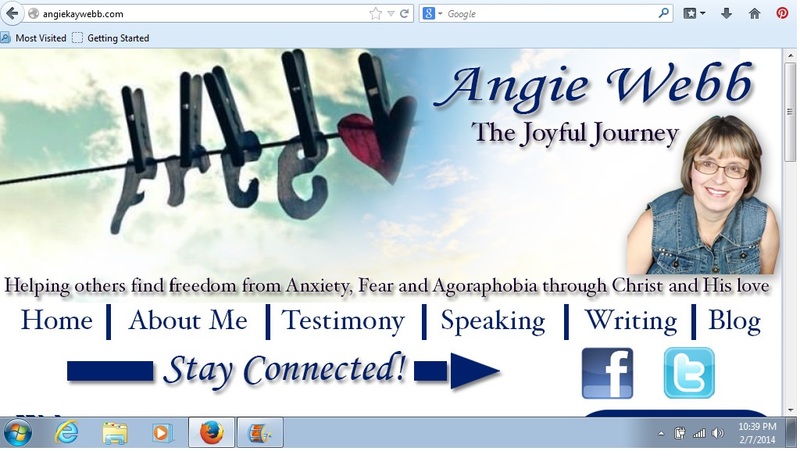 I hope you will follow me over there and let me know what you think of the new website. I love it and I am very proud of the job Kirk did on the design. Take Care and hope to “see” you there. or are you living in the present? As Christians we are given paths to choose in many different situations. We have to face decisions on many different aspects of life from the employment opportunities we have, to whom to marry all the way to where to live and how many children to have. But we have other decisions to make as well. 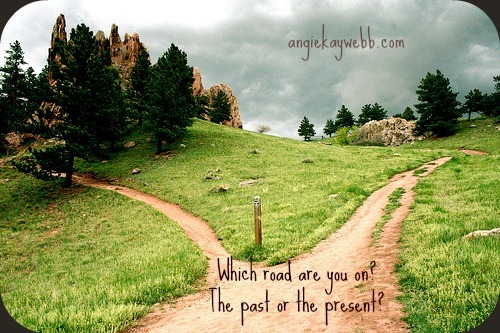 Personally, a big choice we need to face head on is whether we are going to go down the road of dwelling on the past or are we going to face today, head on and live in the present? It is easy to go back and live in the past, but what does that accomplish? The Lord wants our lives to be full of promise and certainly full of love, hope and healing. Sometimes we have to sit for a bit.. But then it is time to face the present, all the while learning the lessons from the past. But now we must move..
What dream do you have for your life? nothing is too crazy or off limits. God can perform above anything we can ask or imagine. God has huge plans for us as His children, but often we get in our own way. We want to stay stuck and connected to the past, all the while the present is passing us by. I lived this way for many years while I struggled with fear, anxiety and agoraphobia. Yet, God had a bigger plan for me than I had for myself. Freedom was mine after more than 20 years of living with fear. The present became mine while the past faded away. Doors were opened and I began to walk through them, all the while listening to the still, small voice of the LORD. He has led me and held my hand each and every step. I want to offer you hope. Nothing is lost with the LORD. Yes, you may need to look at the past to learn some lessons and find healing, but please do not stay there. Don’t sit in the ashes. Step out today and LIVE. Life goes on, even when..
What would your even when be? But, even when I don’t understand, God does. I may not ever know the reasons why certain circumstances or aspects of life have happened the way they have, but even when I don’t, there is still a plan and purpose. I may never understand why my grandmother was murdered by my grandfather in 1996. I may never understand why I suffered so many, many years with anxiety, fear and agoraphobia. I may never understand the painful relationships. But God does. Yet, I have to choose to believe that God will not waste any pain or heartache or joy in the big scheme of His plan for me or my life. I wish I could understand this side of heaven, but I still trust in HIM and HIS plan. I do not claim that this is always easy at times but still I believe it is the best way. Certainly, in this fallen world, we all face heartaches and struggles, but I can attest that I have often felt beyond God’s reach. I have felt forgotten and alone. Even in the church, I have felt this way. Pushed aside. Lonely and fearful. Afraid to leave my home, yet often afraid of being in my home. A life of an agoraphobic is tragic and painful. Lord you are Sovereign. That may be all you can offer now as well. That is enough while you wait for the next step in your journey. He hasn’t forgotten you. Imagine freedom from fear or anxiety. What does it look like in your mind? Have you ever experienced that before? 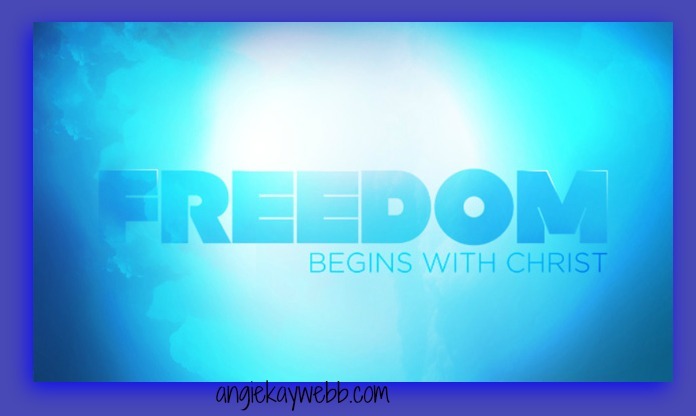 Freedom is possible with God. Personally, I know the struggle you may be facing today. You feel like the freedom you so desperately want is just out of reach or God only has that for someone else. We tend to believe the lies of the enemy instead of looking at the wonderful aspects of our lives that God has given us on a daily basis. I did the same thing for so long. I doubted His love for me, even though I could look around and see all the beautiful aspects of my life. Yet, the one aim of my life seemed so out of reach. Freedom from fear, anxiety and agoraphobia was nowhere to be found; or so it seemed. Nothing is impossible with God, even when we doubt or feel unworthy. Luke 1:37 For with God nothing is impossible. God has a plan, even when we don’t understand. After all of my struggles, I have a story to tell. Our stories help others know that they are not alone. Share your story here today. What has God healed your from or helped you overcome? Lord, nothing is lost in your sight. You know the beginning and the end of our lives. We have pain but that can be used for your glory if we follow your leading. I pray that anyone that is struggling today, that they can find a sense of peace by listening for your voice. You speak and we listen. Help us to quiet ourselves. Help us to seek your face and to see the wonder in even the small freedoms we have. What are you restless for? 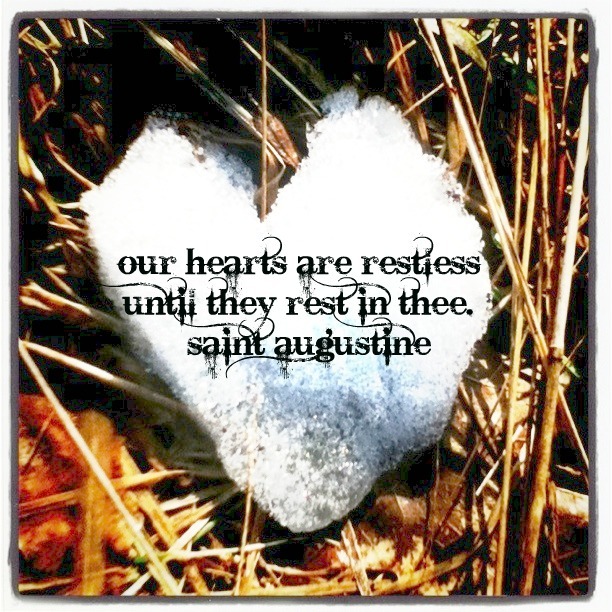 Our hearts will always be restless until we rest in HIM. Our lives are in unrest because we live in a fallen world, full of pain, heartache and tragedy, yet God has more. When we rest in Him and His love, our restless heart and soul will be a peace. The world can abound in unrest, but our lives will be at peace. Over the last year and half, I have found myself more at peace and less restless than I have in many years. Yet, that doesn’t stop the natural tendency to want to have more of this life God has given us to live. And I plan to live big..
Full of love, freedom, hope and dreams. More of HIM so I am less RESTLESS. Today, Lord I am committing to walk in love that only can come from you. I endure long and I will be patient and kind. I will not be envious and allow the worldly jealousy to take over my mind and heart. I will not be boastful nor will I behave in a manner that would be considered rude or unbecoming. You have total control over me and the words I speak from this point forward. Keep my heart and mind in check, but more importantly, keep my words in line with You and Your Word. I will not take account of any evil done to me and I will not pay attention to the suffering I will endure. You will repay evil and restore all that has been lost in my life due to the evil others have done. You will restore over and over to me. I will continue to persevere in my life and the freedom you have given me after years of living with anxiety and fear. The past will have no power over me or my family any longer. We are set free from the past and the shame others have tried to lay at our feet and upon our heads, hearts and minds. We are overcome with the power of the blood and the words of our mouths. Father, I will bless and pray for those who persecute me- and who are cruel in their attitude toward me. I bless them and do not curse them. You are in charge of the outcome of them and their lives. My love will abound more and more through You and the Holy Spirit working in my life. Everywhere I will go I commit to plant seeds of love. I thank You, Father, for preparing the hearts of those that I will encounter that they will be prepared to receive my love. Prepare their hearts. Guide me to those in need of love today. Lord, today and everyday, guide me and help me to stay on track to love others as You have called me to do. Have you ever personally experienced a miracle? How would you define a miracle? If we take the time each day to slow down and look at our lives, as well as those close to us, I think we would see a miracle. Did you wake up today? Did you drive to and from work without an accident? Did your children arrive home safely from school? Is your home safe, clean and full of love? 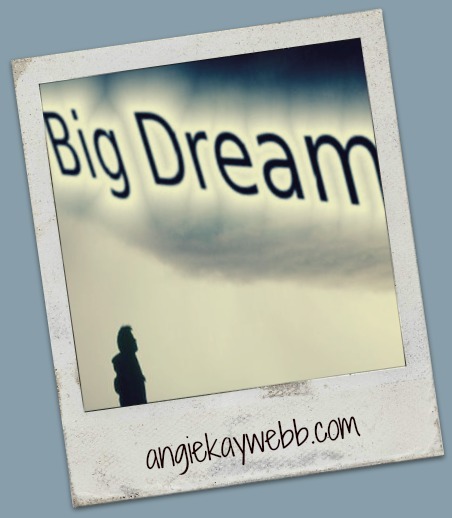 Are you living a life that is beyond what you ever dreamed or imagined? I would say each and every one of those are miracles in a small or large way. God does amazing things for us each and every day that we take for granted. We somehow believe that we are guaranteed safety, security and a life full of promise. Of course, God promised that in HIS word but we also live in a fallen world where life can become something much worse than the promises God has said He has for us. I think of all of the years I wasted being full of fear, anxiety and eventually agoraphobia. How much life I missed. I felt lost and alone. Yet, God had a bigger plan. What miracle are you needing today? Don’t let the enemy convince you that God doesn’t care or isn’t listening. He hasn’t forgotten you today, sweet friend. He is all ears and His heart is connected to yours. Nothing is beyond HIS reach; even the miracle waiting in the wings. Praying for you and your miracle. 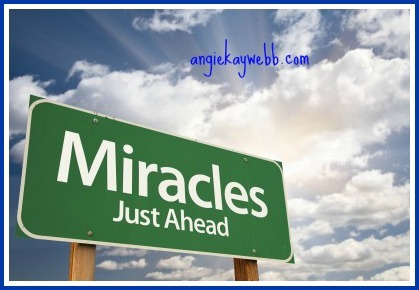 If you have a miracle story to share, please comment and let me know. I would love to hear. Lord, the word encouragement conjures up so many emotions inside of me. Encouragement is so important and often we forget that it is a vital necessity to the human soul. We need encouragement to reach for the stars, hope for the best and believe the Lord of the universe has it all under control. We must have a hand to hold and a shoulder to lean on, cry on, share our deepest hurts but also the same hand to pick us up and encourage us to go again. To move. To believe. To trust. Encouragement is found in a small card you receive in the mail or a small gift from a sweet friend. 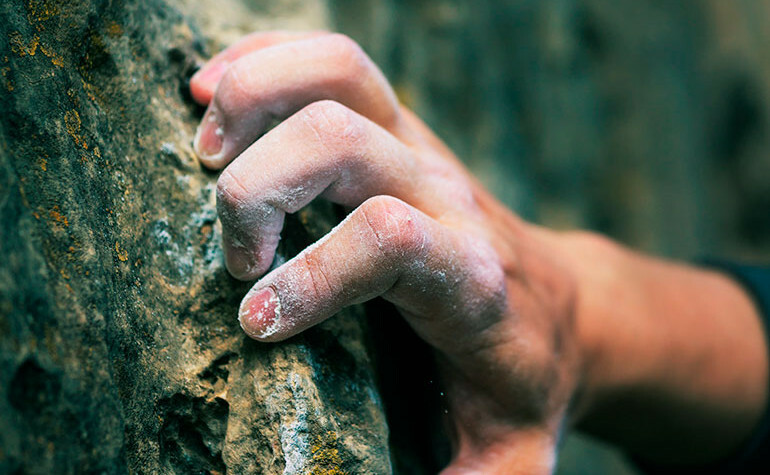 How can you reach out to someone today to offer some sweet encouragement to them? A card. A phone call. A small gift and note to cheer them on..
A wave and a cheer through the web. Today, take the time to minister to another with a small or big bit of encouragement. God connects us for a reason. He loves us and we should love each other. My goal is that they may be encouraged in heart and united in love, so that they may have the full riches of complete understanding, in order that they may know the mystery of Gd, namely Christ. and the pain I remember too well. The lessons have been learned in the trenches and deep valleys, yet the lessons have been learned. Life often hands us real situations of pain, heartache and loss, yet even in those times we can learn. Have you learned a hard lesson? Lessons are part of life. We can learn the easy way or the hard way and often God literally has to knock us over the head to make the lesson clear. Our stubbornness can get in the way or often we are waist deep in the “murk” of life we don’t even see a problem. Over time our eyes will adjust along with our heart and the “problem” or lesson will become clear. I have learned this in so many instances, yet when I mentioned learning that not everyone can be trusted has been a very hard lesson. I so trusted this person. We had been friends for over 15 years, yet one day I found out that life wasn’t as I had originally thought. I saw this friendship one way and apparently she saw it a different way. The reality hit me square in the face one fateful day when something was said that I knew was not part of a healthy relationship. God had opened my eyes and heart to the facts. The hard facts and a hard lesson. I felt like I had wasted so much time with this person and now I can look back to see that much of the relationship was very one sided. (mine) She didn’t care about me like I had cared for her. But she didn’t want me..
Only to live vicariously through me. Over time I could see that she ultimately had ulterior motives which hurt so deeply. The friendships I have today mean more to me than this particular friendship. The friends I have today love me and treasure my heart. Love runs deep between my true friendships. I cherish the life I have today and the lessons I have learned. Yet, the past is over and the future is wide open. Possibilities abound and I am waiting patiently to see where God takes me on this new journey. 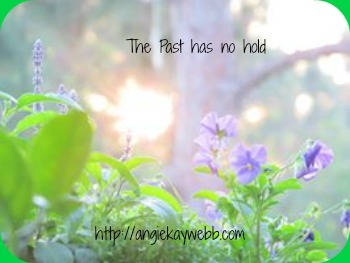 Praying for you today that the past will have no hold on you, other than the lessons you have learned. The past is over and the future is full of possibilites. God has a huge plan for you and for me. Love requires action as well as patience. I often forget the last part of that sentence. Yet, when I decided to focus on the word LOVE for 2014, I want to remember that God loves me, so I need to love others with the same type of love. This is often hard because I am human. 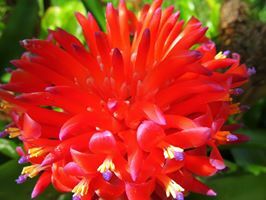 I am certainly not perfect, nor am I GOD; the one and only creator of the universe. I am a flawed human being, who makes mistakes every day of my life. I tend to lose my temper too easily and often expect perfection of those in my life, yet I need to remember that these same folks are patient, loving and offer me grace on a daily basis. I remember as a young mom I would fret and fret about trying to keep my house looking “perfect” which was almost impossible with two sons running around. I would beat myself up because the “perfect” I so wanted and dreamed of seemed to be impossible to obtain. I was often way too hard on my boys and made many mistakes in this situation as well as others. No person is a perfect parent either and I certainly know that I made huge mistakes. Things I regret. Things I wish I could take back. But all I can do is ask for forgiveness and apologize. Lessons are often hard learned. Lessons in love are often hard learned. Growing up in a dysfunctional, none affectionate home, love was something I could not quiet comprehend, which also led to many hard lessons as a mother and wife. Love was something I feared in many ways, yet so desperately wanted in my life. I wanted to experience the love of children and for my children to feel loved. To never doubt my love for them, but in many ways I failed. Life has a way of creeping in and causing the past to weave it’s way into the present. The past could not be held at bay any longer. The choices of those who committed suicide or took the life of my grandmother in a suicide/murder affected all of the family. Love was still an underlying presence but it was not the focus as it should have been. Life was hard and the road was rocky. Filled with stickers and lots of bumps, yet through it all the love I had for my husband and children never changed. It had always been in my heart, yet the enemy had used the painful circumstances to get my eyes focused on the hurt instead of the wonderful blessings I was privileged to have as part of my life. 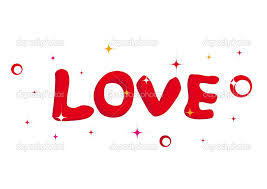 Love is a word that is so full of meaning and often means different things to different folks. I want to be remembered as a woman, wife, mother and grandmother who never let the painful past to hold her down, nor allowed the enemy to continue to severe relationships that are meant to be for life. The enemy will not be able to win this battle. LOVE will prevail and the lives of those torn away will be redeemed and restored. Relationships will win and the love I have for my family will always persevere. God has a beautiful plan for LOVE in the lives of believers. We must seek HIM and the plan HE has for our lives. and that the past will no longer have any power over my life or the lives of my family. We are overcomers and the LORD has called us to be a family. I pray that whatever you are facing today will not keep you bound to the past. Look to the Lord and always remember that if He calls you to it, He will help your through it. Life can be challenging at times but just because you are in a battle today does not mean that tomorrow the Lord can turn everything around. God is so powerful and He has such a blessed life for us as His children. Please don’t give up on the problem or challenge you are facing today. Continue to seek HIM and HIS plan. He will line it all up and everything will come together.